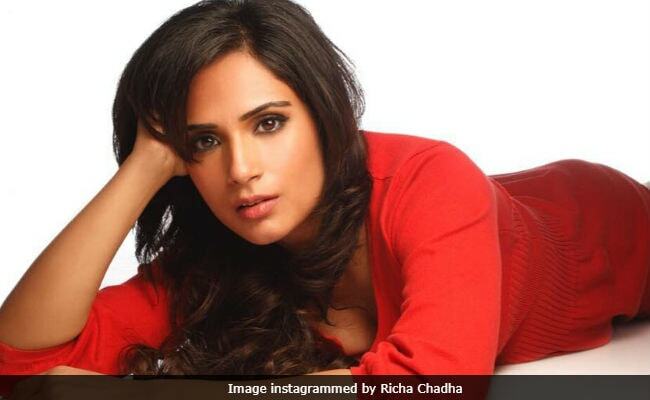 Richa Chadha's spokesperson said: "The film is the story of Shakeela, one of the most famous actors from Malayalam cinema from the 1990s"
Actress Richa Chadha has been roped in to play the role of south Indian adult film star Shakeela in a biopic made on her, reports news agency IANS. Richa's spokesperson told IANS: "The film is the story of Shakeela, one of the most famous actors from Malayalam cinema from the 1990s who rose to a spectacular amount of fame. Her fans were spread across Asia and she earned fanfare as a woman which back then was unheard of." Shakeela featured in several controversial projects in Malayalam, Telugu and Tamil languages. Kinnara Thumbikal in Malayalam was one of her most popular films. "The film's script was exciting and is a great story to tell and the story will make for a great watch for the audience. The preparations will begin soon and the film should be going on floors in end April or May," Richa's spokesperson told IANS. Richa Chadha debuted in Bollywood in 2008 film Oye Lucky! Lucky Oye! but her breakthrough film arrived much later in 2012 - the Gangs of Wasseypur series. Since then, Richa Chadha has featured in films like Fukrey, Ram Leela, Masaan, Sarbjit and Main Aur Charles. Richa Chadha was last seen in Fukrey 2, co-starring her boyfriend Ali Fazal. Her upcoming films are Sudhir Mishra's Daas Dev and Arjun Mukherjee's 3 Storeys, which also stars Renuka Shahane, Pulkit Samrat and Sharman Joshi.